You Trust a Quiz to Tell You Who You Are? Sometimes I hear, “To give our people a profile of themselves—a profile of their style that tells them who and how they are.” The assumption is that, by understanding ourselves via this hypothetical quick, online, inexpensive or free assessment, we will immediately (almost magically) become empowered to collaborate more effectively across cultures. Now don’t misunderstand me: assessments and inventories can be incredibly helpful tools. We are all better served by understanding our learning styles, personality traits, and communication skills. Taking a quick online assessment can also be fun. 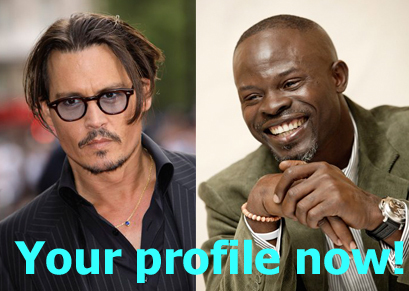 Heck, those quizzes in the magazines can be entertaining: What kind of personality am I in the bedroom based on whether the quiz says I’m more attracted to Johnny Depp or Djimon Honsou. I had fun just writing that sentence! However, I can’t help but feel the world is just a WEE bit out of whack when we trust a personal profile, produced by a quick survey, more than we trust our own 20, 50 or more years of experience living with and as ourselves. Profiles can be informative: they can stimulate thinking and conversation. But they are not going to, in and of themselves, improve my ability, either in the bedroom or to work cross-culturally. What causes us to want a profile? We are by and large intelligent people. We are adults. We know ourselves. Many of us want the quick and easy “answer” because our days are so full. Many of us don’t take time for contemplation, practice, or deep meaningful dialogue—even though these are precisely the acts via which wisdom, happiness and, yes, competence are achieved. Let’s face it: intercultural competence, like all the other important abilities in life (good parenting, sound health, even skills with technology) involves PRACTICE. We need to stay current, we need to both broaden and deepen our abilities and experience. Cultural Detective Self Discovery: This unique product in the Cultural Detective series helps individuals to investigate their cultural identities and develop a “Personal Values Lens.” Through a structured sequence of short exercises and discussions, individuals identify their core values, the positive and negative aspects of these values, and the thinking and behavior that flows from them. They then explore how their values and behaviors may be similar to and different from those of cultural groups. This Personal Values Lens can be used in conjunction with the Cultural Detective Online system for individualized structured learning, or, better yet, with the guidance of a facilitator or coach. The International Profiler: This terrific tool by our friends and colleagues at WorldWork involves a web-based psychometric questionnaire, followed by coaching sessions, to help develop an individual’s ability to operate effectively in unfamiliar cultural contexts. Nigel Ewington has been piloting ways of combining The International Profiler (TIP) and Cultural Detective (CD), to harness the best of both. Perhaps we can ask him to do a guest post about that? Personal Leadership: This methodology offers a way of being and interacting with the world that begins from the “inside out,” one that asks people to be fully present in their lives, awake to their habitual behaviors, and willing to look at situations with “beginner’s mind.” Of particular interest in this context is the personal visioning practice. Barbara Schaetti and Heather Robinson and I have created a MashUp process aimed at leveraging the dynamic interaction possible with Personal Leadership (PL) and Cultural Detective (CD). The Intercultural Development Inventory (IDI), originally based on the Developmental Model of Intercultural Sensitivity (DMIS), is a statistically reliable, cross-culturally valid measure of intercultural sensitivity. What I love about it is that it is developmental: great for charting individual or group progress. It can be completed online, with the assistance of a qualified administrator, and involves individualized feedback. Ideally the IDI is used as part of a process that also involves development planning and coaching. We can have all the information in the world about ourselves, but if we do not have the courage and diligence to act on it, it is worth very little. None of the tools discussed above provides instantaneous transformation or the magic pixie dust of cross-cultural collaboration. Nor, I imagine, will they give me an evening with either Johnny or Djimon. But with ongoing, mindful practice and the guidance of a good coach or trainer, we will find worlds open to us that we might never have imagined, and we will develop the ability to collaborate more effectively across cultures—exactly what many of our clients are asking for. Each of the tools above dovetails very well with the Cultural Detective Series: TIP and IDI can help you chart progress using CD as a developmental tool, and PL helps ensure the inner work that should accompany CD use happens. There are many more inventories, assessments and collaborative tools in the intercultural field. What are some of your favorites? How do you use them for maximum effectiveness? How do you motivate yourself and others to practice? What do you wish existed to address specific developmental needs and challenges?